Second Opium War - 1856-58. 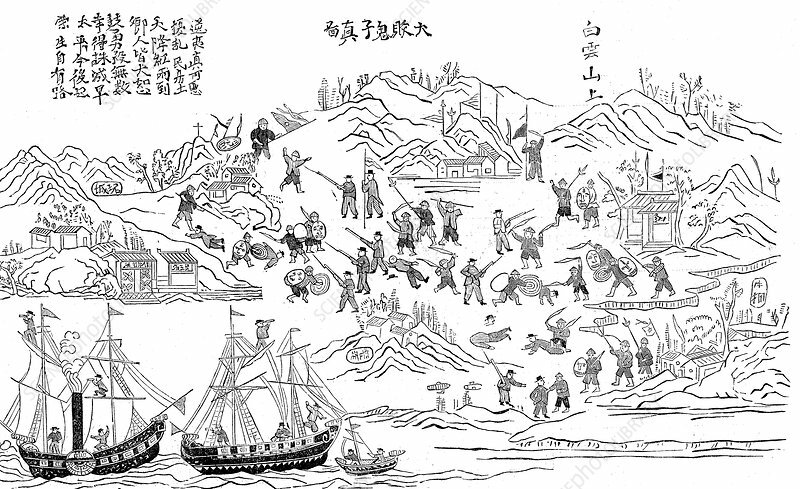 Chinese depiction of the engagement between the British and Chinese at Fatsham Creek on Canton river. British wood engraving.